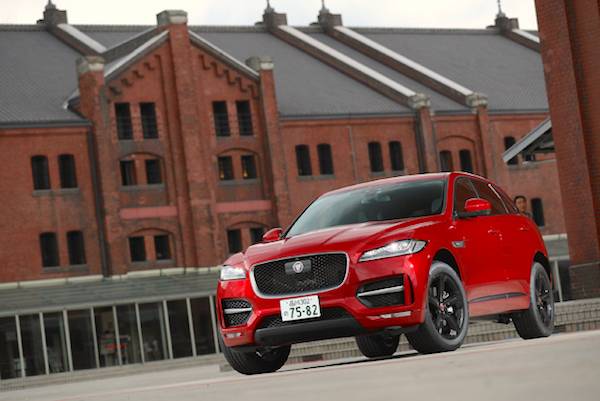 Jaguar sales are up 68.5% year-on-year in Japan in September. The Japanese new vehicle market drops 2% year-on-year in September to 485.379 registrations, sending the year-to-date tally down 0.9% to 4.023.608 units. Brand leader Toyota falls three times faster than its home market at -6.3% to 25.9% share vs. 28.3% YTD, while Honda (-6.5%) reclaims the #2 spot it holds YTD off Suzuki (+7.5%) despite the latter posting the largest year-on-year gain in the Top 8. Nissan (+0.8%) and Daihatsu (+0.2%) manage a positive result – just – to close out the Top 5 ahead of struggling Mazda (-3.8%) and Subaru (-7.6%). Hino (+40.5%), Isuzu (+8.5%) and Mitsubishi (+6.1%) complete a Top 10 once again 100% Japanese just as Mercedes (-17.3%) is stuck at #11 by a disturbing decline. In fact Mini (+4.1%) is the only Top 5 foreign brand to improve with Volkswagen (-6.3%), Audi (-5.5%) and BMW (-3.2%) all in difficulty. Further down, Jaguar (+68.5%), Citroen (+32.4%), DS (+31.5%), Abarth (+27.4%) and Alfa Romeo (+16.4%) all score spectacular gains. 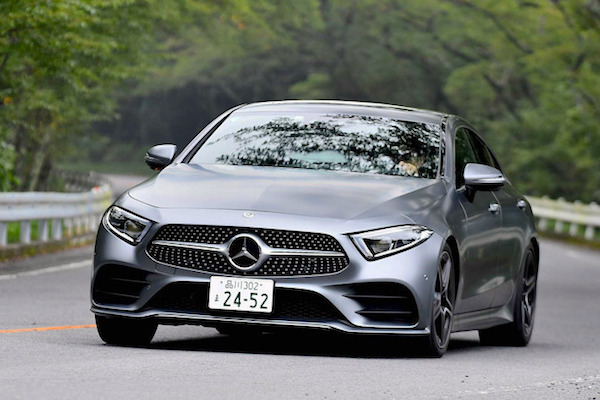 First appearance of the Mercedes CLS is the Japanese foreigner Top 20. Among regular cars, the Nissan Note (-12%) tops the charts for the 6th time in the past 15 months, cementing its YTD lead (-11%) ahead of the Toyota Aqua (-22%) and Prius (-28%) in a podium 100% in negative as is also the case YTD. The Nissan Serena (+15%), Toyota Corolla (+57%) and Vitz (+19%) are the only Top 13 nameplates lodging a double-digit year-on-year gain. The Nissan Leaf (+1292%), Subaru Forester (+226%) and Toyota Crown (+157%) all benefit from new generations with the Honda Jade (+376%), Lexus RX450H (+82%) and Mitsubishi Outlander (+60%) also outstanding in the Top 50. The Honda N-BOX (-16%) and Nissan Dayz (-1%) dominate the kei cars charts, ahead of the Suzuki Spacia (+44%) and Daihatsu Tanto (+2%). Among foreign nameplates and across the 3rd Quarter of 2018, the Mini (+5%) posts an 8th quarterly win in the past 10 while the Mercedes C-Class (+26%) overtakes the VW Golf (-17%) to claim the 2nd spot for the first time since Q4 2016. The VW Polo (+60%) remains at #4, with the Volvo 40 Series (+23%), VW Beetle (+21%) and Audi A3 (+16%) also in great shape while we welcome the Mercedes CLS inside the Top 20 foreigners for the first time. Full September 2018 Top 54 All-brands, Top 50 regular cars, Top 33 kei cars and Top 20 foreigners below.